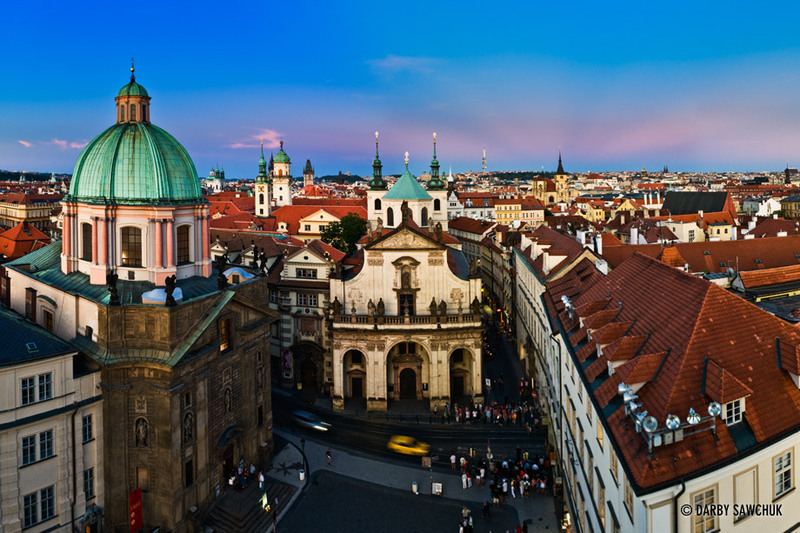 The reason for Prague’s nickname, “The City of a Hundred Spires,” is obvious if you’re within sight of the core of the city. 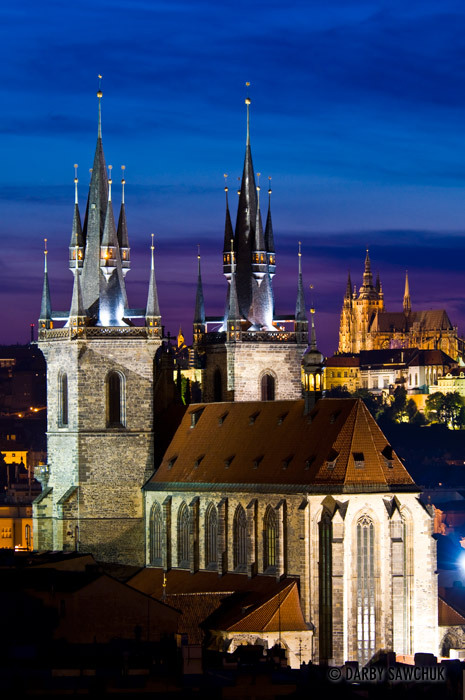 Church steeples and gothic towers dominate the skyline and invite visitors to perpetually get a bird’s-eye-view of the city’s medieval architecture. Combine that with the hills surrounding the river Vlatava and a visit to Prague makes you feel as though you’ve spent an equal amount of time soaring over the city as walking its narrow streets. 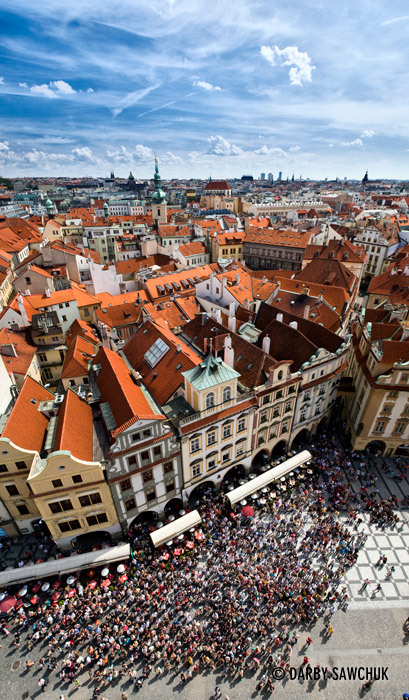 Prague has often stood at the crossroads of history and the past shines a light on every building and every street. 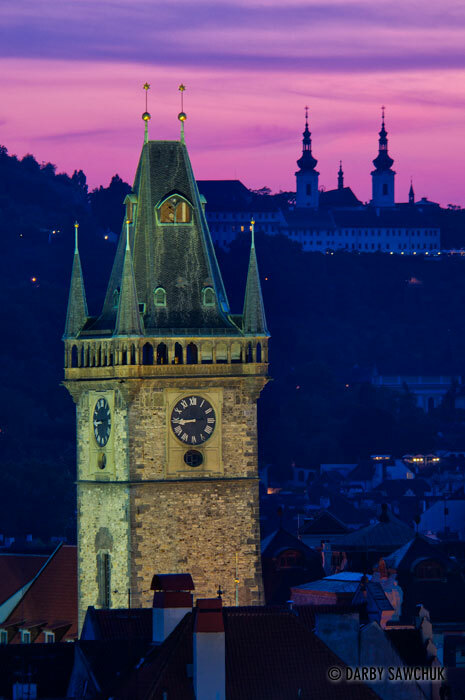 The centuries-old Charles bridge, the Jewish Quarter with its atmospheric cemetery, the giant castle on the hill – all of them are haunted by the ghosts of Charles IV, Kafka, Dvorak, Mozart and other greats who once called Prague home. 01. 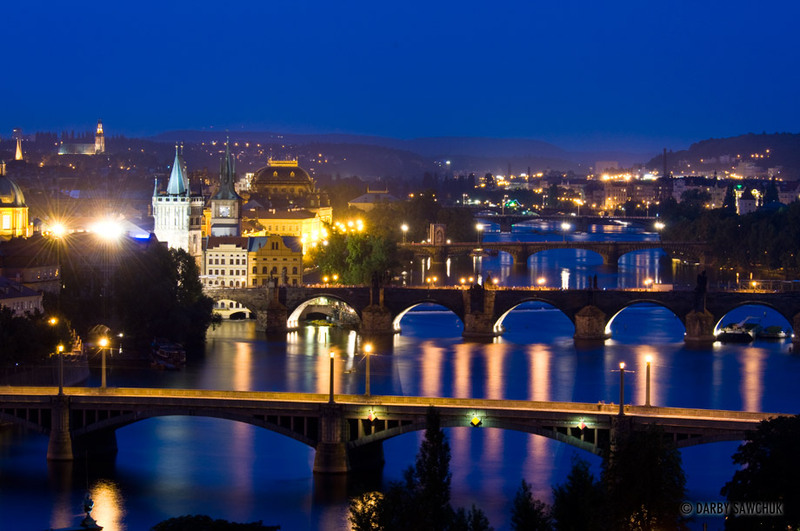 Numerous bridges including the Charles Bridge span the river Vltava in Prague, Czech Republic. 02. 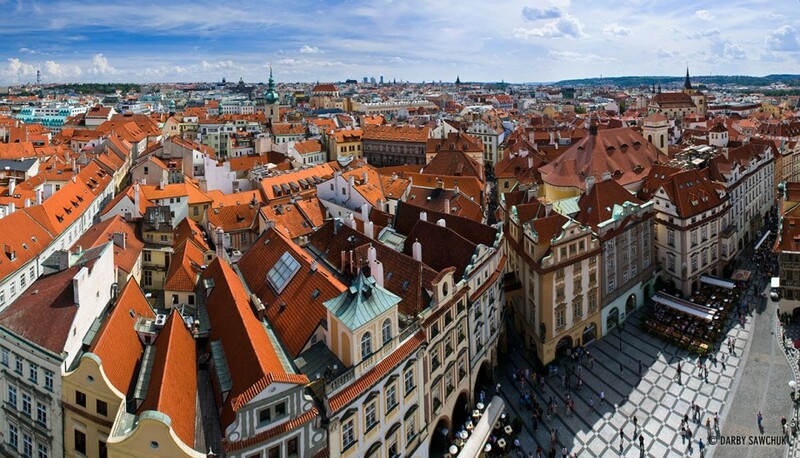 The Church of Our Lady before Tyn as viewed from the top of the Old Town City Hall in Prague, Czech Republic. 03. 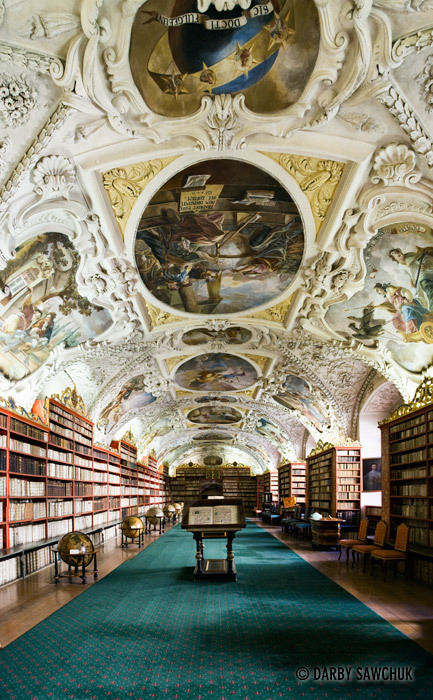 The Theological Library in the Strahov Monastery in Prague, Czech Republic. 04. 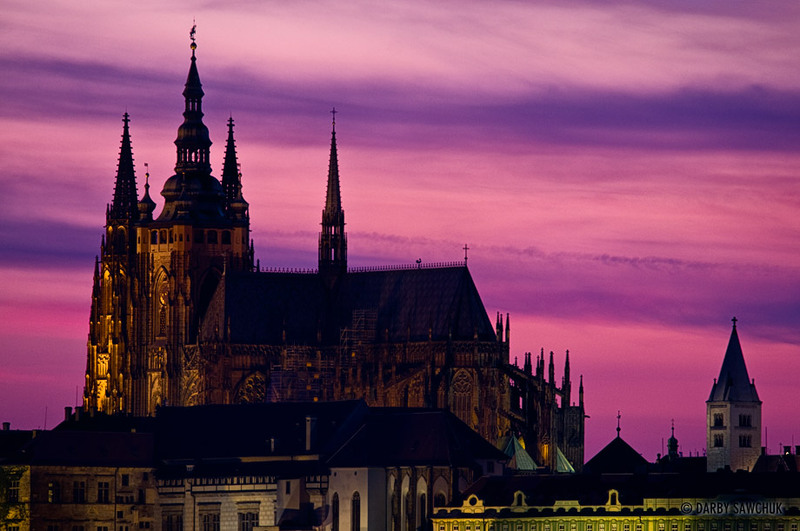 St. Vitus Cathedral inside Prague Castle at sunset. 05. 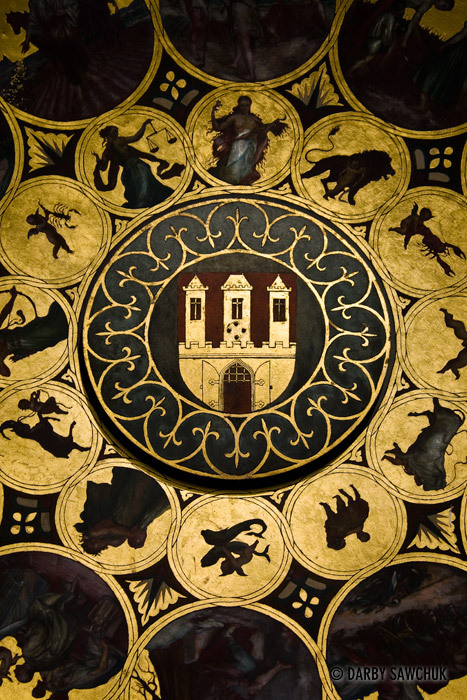 A close up of the calendar on the Astronomical Clock (Orloj) in Prague, Czech Republic. 06. 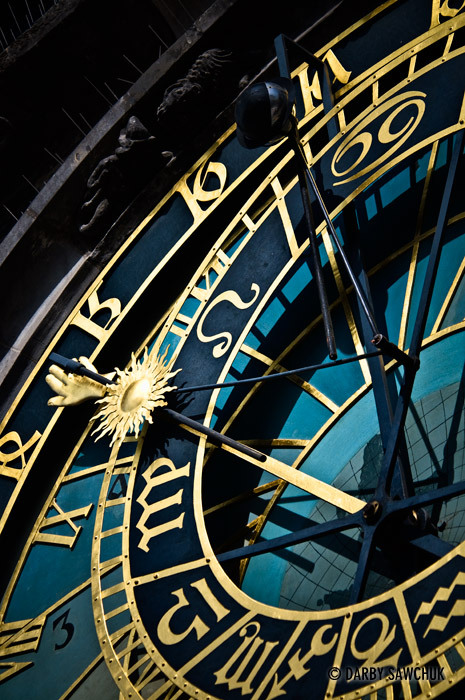 A close up of the astronomical dial on the Astronomical Clock in Prague, Czech Republic. 08. 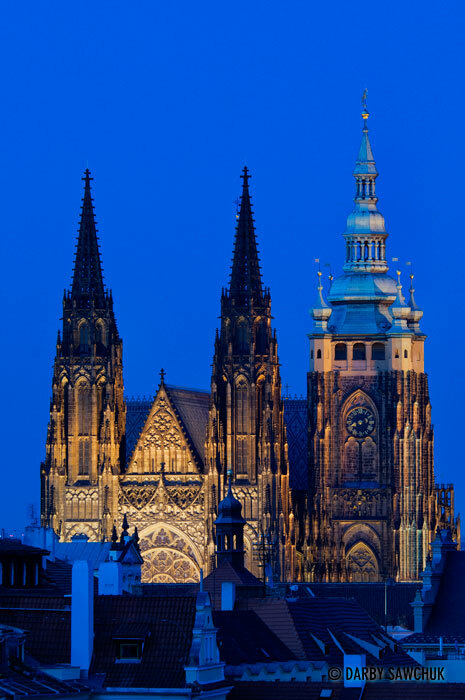 St. Vitus Cathedral at night in Prague, Czech Republic. 09. 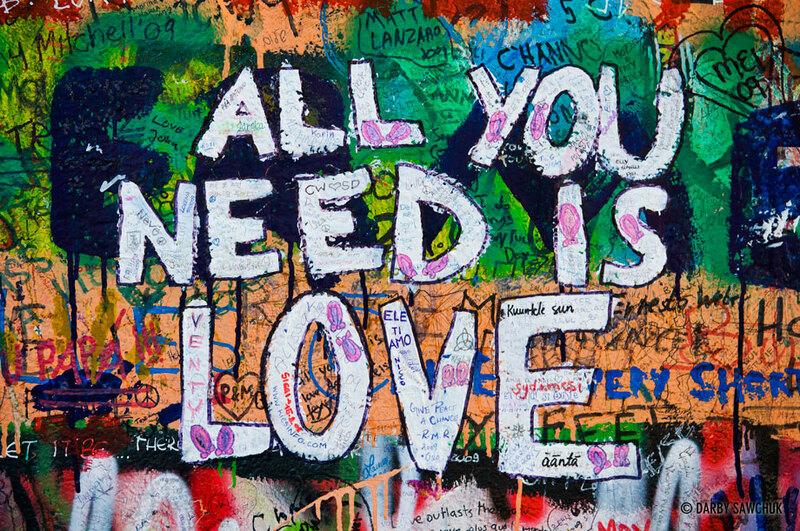 “All You Need Is Love” painted on the John Lennon Wall in Prague, Czech Republic. 11. 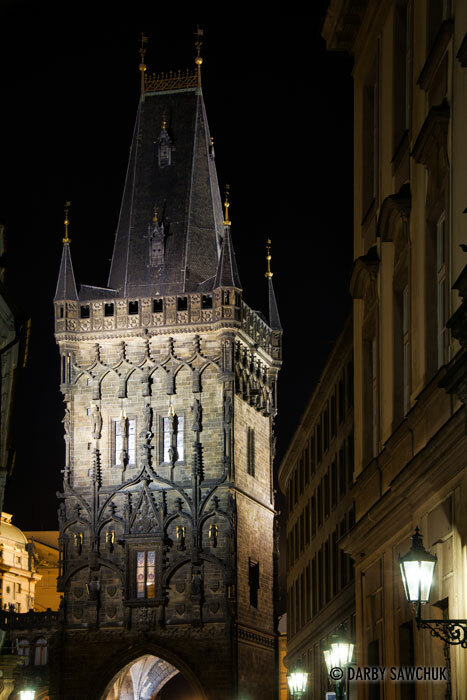 The Powder Tower at night in Prague, Czech Republic. 12. 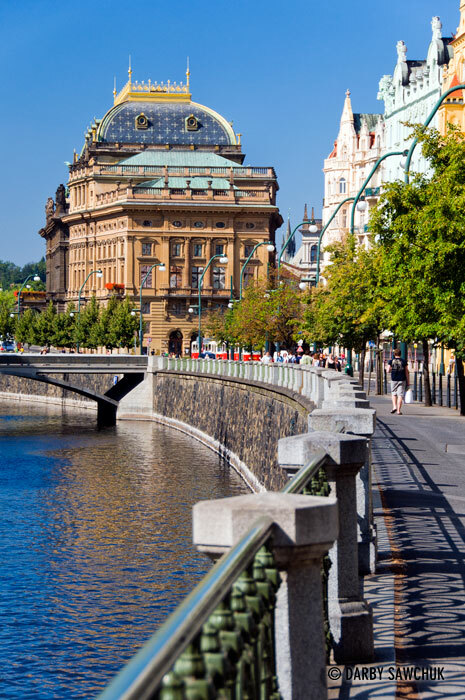 The National Theatre in Prague, Czech Republic. 13. 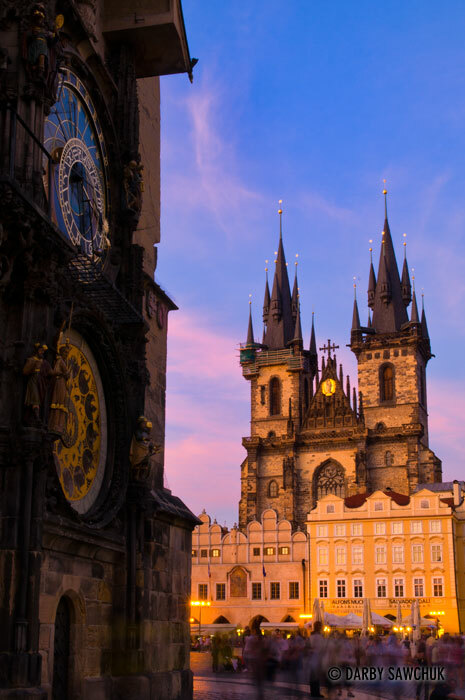 The Astronomical Clock and the Church of Our Lady before Tyn in Prague, Czech Republic. 15. 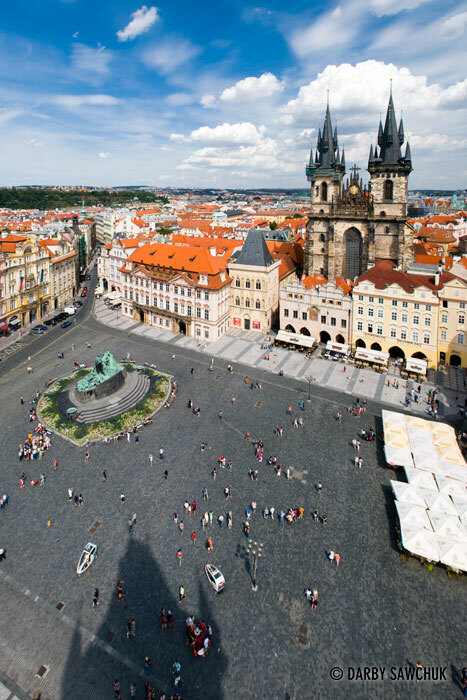 The Old Town Square and the Church of Our Lady before Tyn in Prague, Czech Republic. 17. 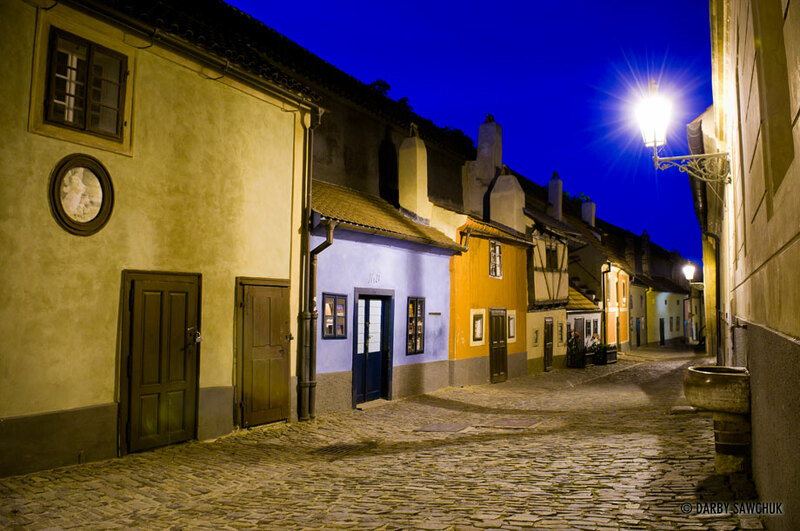 The Golden Lane in Prague Castle, Prague, Czech Republic. 18. 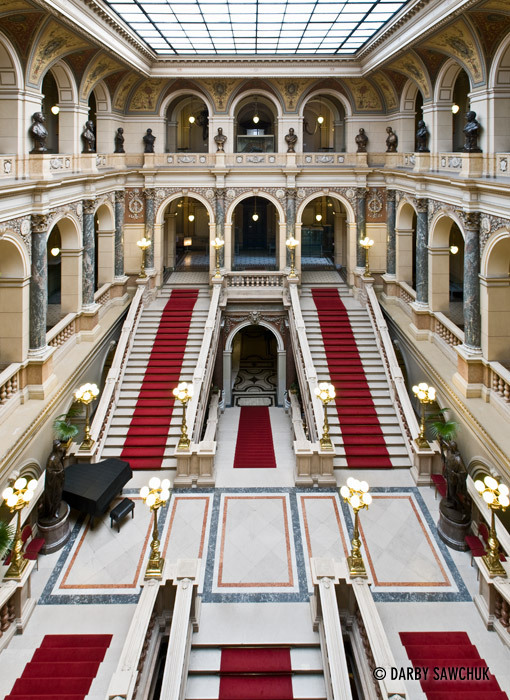 The interior of the National Museum in Prague, Czech Republic. 19. 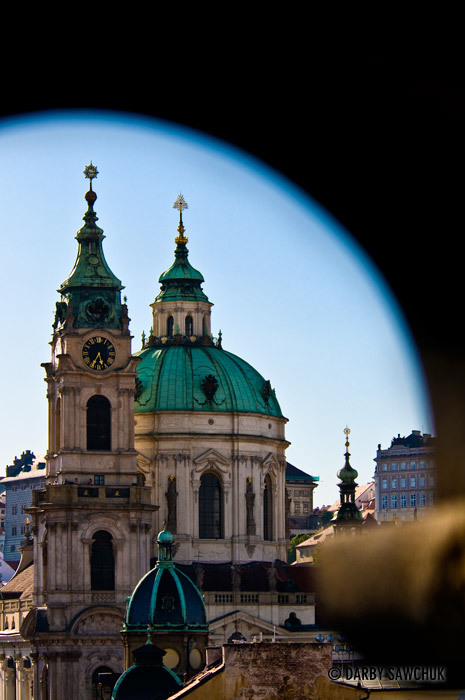 The Church of Saint Nicolas in Prague, Czech Republic. 20. 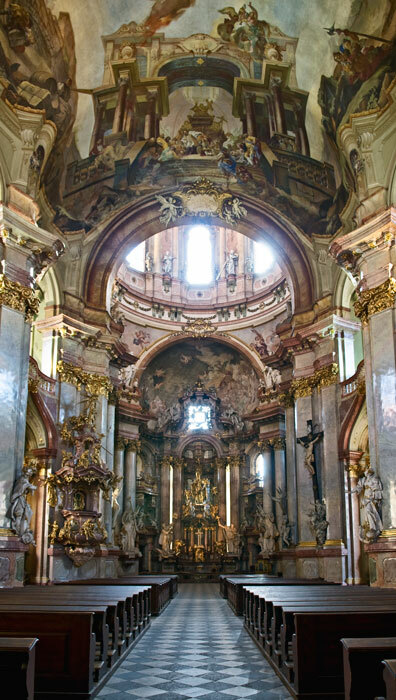 The interior of the Church of Saint Nicolas in Prague, Czech Republic. 22. 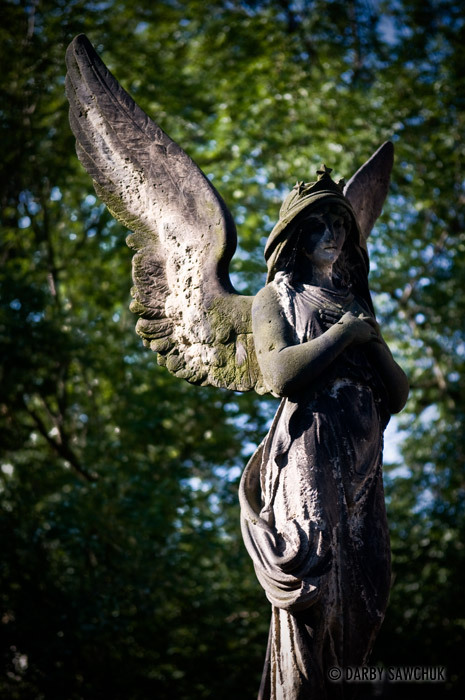 A stone angel in the castle of Vysehrad in Prague, Czech Republic. 23. 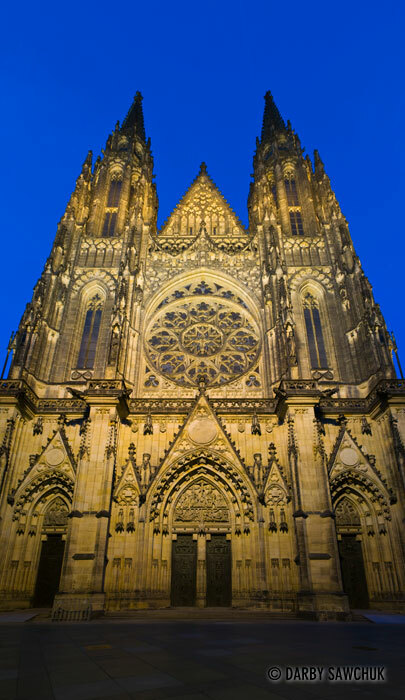 St. Vitus Cathedral at night in Prague, Czech Republic. 24. 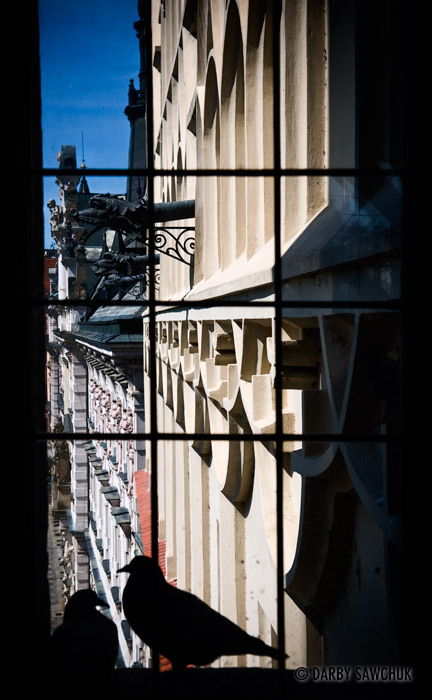 Pigeons roost in a window looking out from the New Town Hall in Prague, Czech Republic. 25. A boat on the river Vltava with Prague Castle in the background. 27. 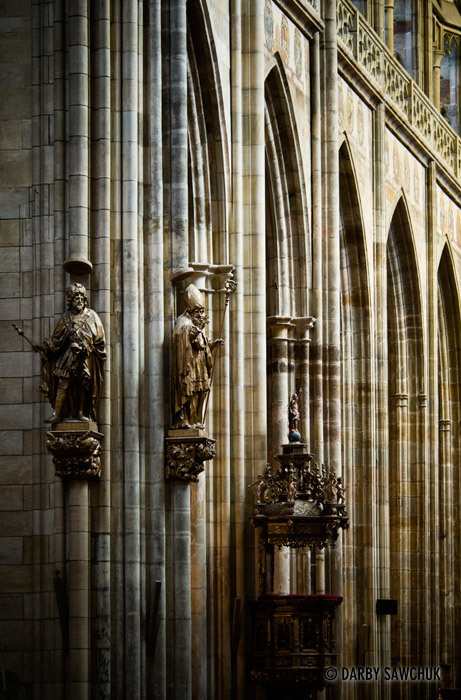 The interior of St. Vitus Cathedral in Prague Czech Republic. 28. 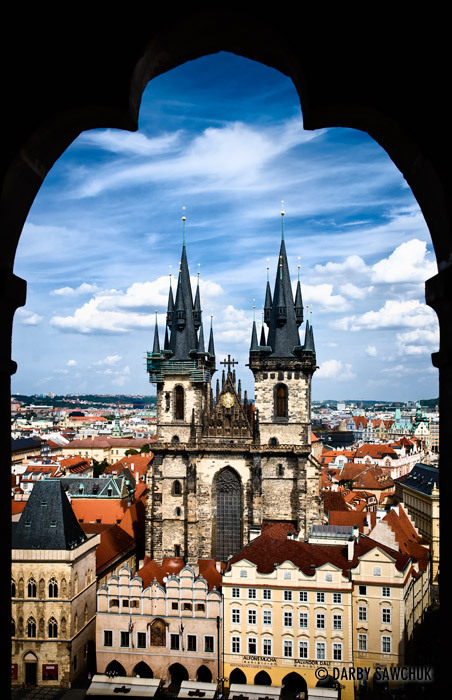 The Church of Our Lady before Tyn as viewed from the Powder Tower in Prague, Czech Republic. 29. Crowds gather in front of the Astronomical Clock (Orloj) to watch the hourly display of moving sculptures in Prague, Czech Republic. 31. The Old Town Hall and the Strahov Monastery in the background in Prague, Czech Republic. 32. 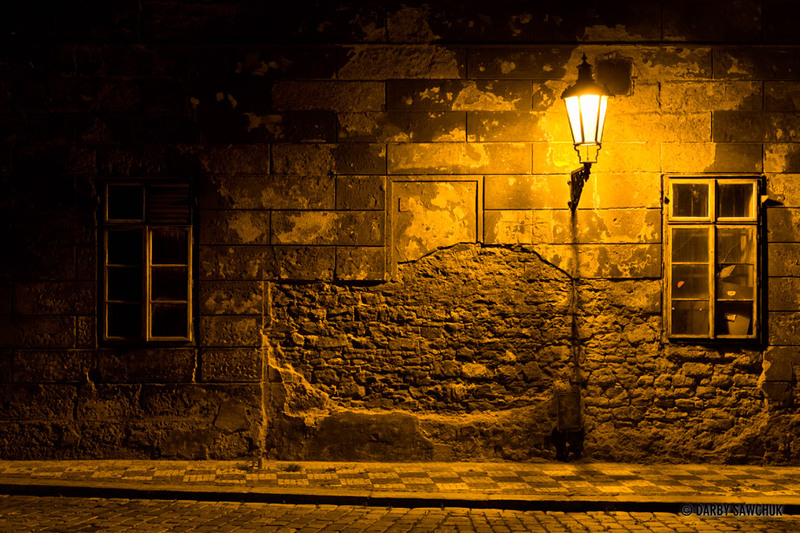 An alleyway in Prague, Czech Republic. 34. 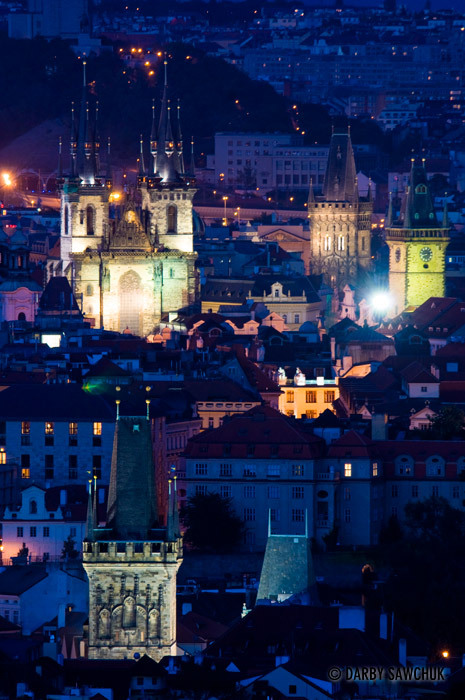 The many towers and spires of Prague at night. 35. The view from one of the Charles Bridge towers with Clementinum at the centre. 36. 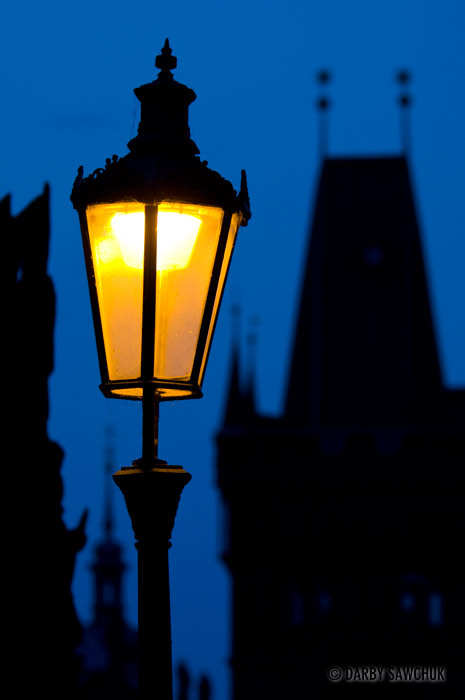 A lamppost on the Charles Bridge in Prague, Czech Republic. 37. 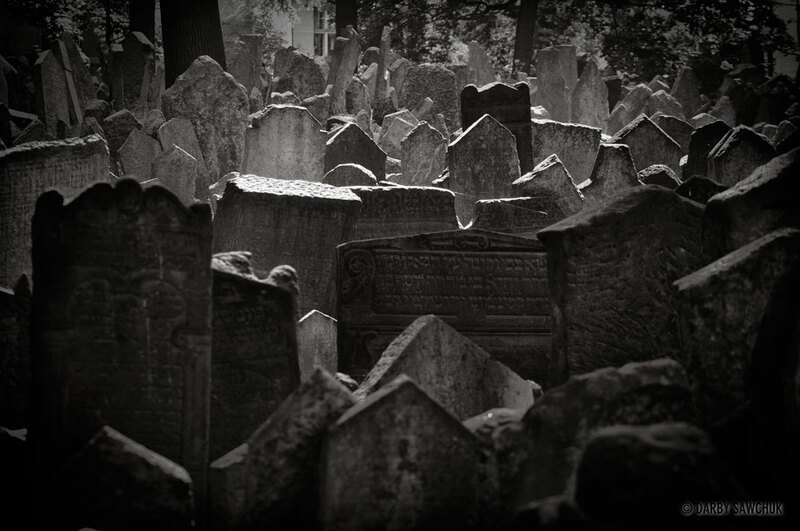 Gravestones in the Old Jewish Cemetery in Prague, Czech Republic. Click here to see more photos of the Old Jewish Cemetery in Prague. Keywords: photos of prague, images of prague, pictures of prague, architectural photography, landscape photography, travel photography. Your pictures are amazing and they’re helping me decide on what beautiful places i want to see when i travel this year! I was hoping you would be able to tell me where you went to take the panoramic shot # 14 as i would love to see this with my own eyes!